Alex Cusack, the 34-year-old Ireland international, has retired with immediate effect. He has initially planned to call time on his career after the World Cup in March but delayed his decision to help Ireland qualify for the World T20 in India next year. Cusack, an right-handed allrounder, bows out with an impressive record, having played 59 ODIs and taken 63 wickets at 23.96 and 35 T20I wickets at 20.40 in 37 matches. He also made 974 matches across both white-ball formats. "I have been thinking about it seriously for a year, especially with the bad run of injuries I have suffered in recent times," Cusack said. "Those injuries have taken a considerable toll on my body, and that's the main reason why I'm calling it a day now. I'm also the father of three young children, and I feel I need to be around more for them." 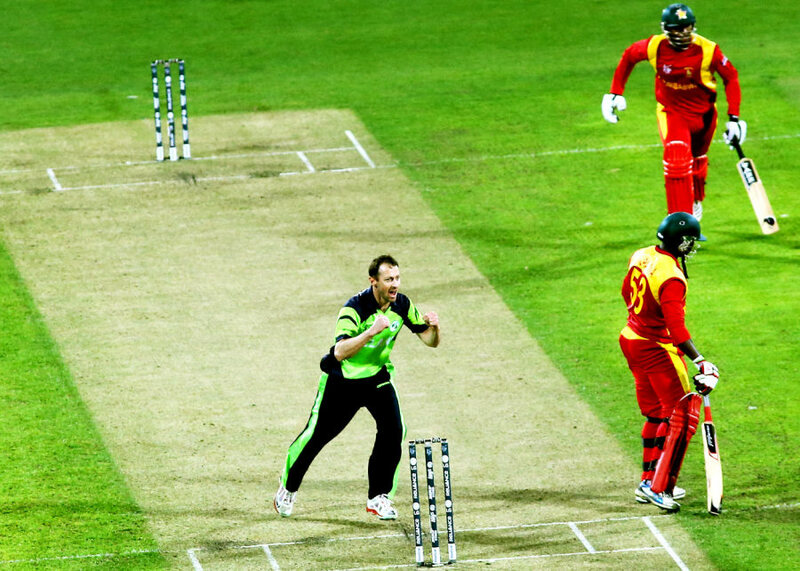 Ireland captain William Porterfield paid tribute to Alex, saying: "Alex has been a great servant and performer for Ireland for quite some time. Not only has he been such a consistent performer for us on the pitch, but he continued to set the example off it. He was ever the professional and I am sure that how he approached all aspects of the game has had a positive influence on the younger players within the squad." Overall, Cusack played 174 times for Ireland, scoring 2347 runs at an average of 22.79, while also taking 180 wickets at just 21.86, putting him at 8th on the all-time leading wicket-takers. He scored his only century - 130 in 2007 against Scotland - sharing a stand of 234 with Andre Botha - the 3rd highest partnership for Ireland in all cricket.